We have sent a letter to all the town’s people to ask for aid with this project and you most likely received yours already.The response has been wonderful and the membership. according to Mark Smith, treasurer, has increased to over 80. 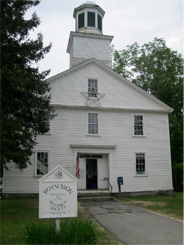 Preserving the history of Royalston and its citizens is important. Just don’t think of the 17/1800s but this preservation should be an ongoing project. Items and papers of the 1900/2000s are just as important to show who we are. We are trying to put together an auction for the Fall so check things out and see if you have anything that would be good for an auction and contact Stef McClure to donate an item (978-249-8675). We will also be doing a supper on Sept 10th. Come join us.